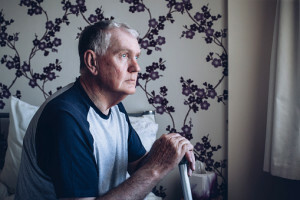 Whether you’re an adult child concerned about an aging parent or growing concerned about your own social isolation, recognizing the signs and symptoms is often the first step to be taken to protect yourself. Sadly, isolation for senior citizens is a relatively common issue. It’s something that family members and the senior should pay attention to. Family members can play a crucial role in supporting an elderly loved one by being aware of the risks and signals of isolation and by stepping in to help with transportation. Keep neighbors in the loop for regular check-ins and encourage weekly or regular social gatherings or meals. Attend regular vision and hearing tests, as many seniors may be avoiding social interaction due to embarrassment about being able to see or hear properly. Making these tests easily accessible with transportation can be very helpful for a loved one. Plan regular family interactions that include the elderly loved one. A weekly check-in or Sunday night dinner can give a senior something to look forward to and it’s a chance for family members to monitor health and nutrition issues in the elderly loved one. Social isolation, when ignored, could lead to anxiety and depression. It can also amplify the impacts of cognitive and other healthcare issues. If you’re concerned about an elderly loved one and want to ensure that he or she has properly planned for the future, consult with an experienced elder law attorney. She’s never been in a nursing home. She lives alone, takes care of herself, and appears to be in perfect health. She’s the envy of many — thriving, highly respected, and seemingly happy as can be. She’s Ann Husfloen of Wisconsin, and she is 100 years old. I recently came across a news article about Husfloen’s one-hundredth birthday party (apparently something of a town-wide affair), and her high spirits and great health made an impression on me. After all, most people her age utilize some kind of assisted living service, and most can’t quite claim picture-perfect health. But there is Ann Husfloen, looking radiant and not a day over 70 in her newspaper profile. She’s living like most twenty-year-olds… by herself and playing cards with the neighbors at night for fun now and then. Interesting, when she was in her twenties, she got a job as an assistant care provider for ailing elderly women in her area. Maybe that experience helped her approach old age with the grace that now earns her the neighborhood’s admiration. She is “such a lady,” her property manager says. Of course, things aren’t exactly the same as they were eighty years ago. She doesn’t drive anymore (she gave that up at age 93! ), and she does have some help cleaning the house for a couple of hours each day. Otherwise, she isn’t anyone’s idea of what 100 looks like. Maybe Ms. Husfloen is the face of the future, though. With new advances in medical science and an ever-expanding average lifespan, it’s likely that more Americans will reach age 100 in the decades ahead. Naturally, most of us will need a little more help along the way. The challenge for now is keeping ourselves healthy, embracing a positive attitude in the face of growing older, and making financial arrangements to provide for what might be a very long life. That last goal is a big part of what I help people with as a Middlesex County elder law attorney. If you were as touched by Ann’s story as I was, give my office a call and we can talk about practical ways to secure a bright future for you too. I’d love to help. Wine & Dine at Age 89? Why Not? The assisted living industry is out to make a new name for itself, or at least certain parts of it are. As seniors live longer lives, they’re increasingly interested in finding better places to enjoy their time. For many, the conventional nursing home just doesn’t cut it, and the market is becoming ever more aware of that fact. I recently came across an English-language article in a Finnish newspaper, and it reveals some of the fascinating new developments in Finland’s senior care. A slew of new retirement homes are opening there, each designed to cater to popular pastimes or specific hobbies. One home emphasizes gardening, for instance, and its residents spend much of their day outdoors. Others, meanwhile, focus on providing fancy four-course dinners and excellent glasses of wine every night. There are even “old-age homes,” as they call them, that specialize in environmentalism, cultural media, and sports! Those options have apparently proven quite popular there, though the more diverse selections are largely confined to Helsinki and other big cities. Cost is a major concern, too. Even by-the-book senior care is expensive, so more specialized services like these come with a considerable upcharge. That makes them an option only for the wealthy or those who’ve planned prudently and well in advance. Stateside, we’ve started to see specialization and innovation in our own senior care industry as well, though perhaps not yet quite so creative as the Finns. As the pendulum continues to swing in that direction, we’ll probably see much more specialization in the years to come. Of course, cost will be an all-important factor for America’s seniors, too. If you’re peering down the road into your own future and think that a different kind of “old-age home” might be right for you, the time to start planning is now. One of my primary focuses is helping people employ sensible strategies for saving and utilizing all the available resources out there to secure their futures in advance. Give me a call to talk about what we can do together. By way of newfangled “virtual reality goggles,” the Silverado Memory Care Community in Plano, TX is able to offer a simulated disorientation for its visitors. The experience is similar to the loss of motor function observed in numerous dementia patients. Sound easy? For those with dementia or other diseases or disorders, it isn’t. The tour takers had a tough time, too. Indeed, one guest after another failed to grab the jacket, forgot to feed the dog, or fumbled in finding the pillbox. Some of them couldn’t even walk without holding onto the wall. The whole experience is part of a national effort to educate the public about the challenges posed by aging. The nonprofit creatives behind the project, Second Wind Dreams, are taking their initiative to various sites around the country. The idea is to remind people that aging isn’t just a matter of cognitive impairment. Dementia is very much a physical condition, too. It’s encouraging to see the kind of revelations that come out of these simulated experiences. I think one of the most difficult aspects of the senior experience is the frustration the elderly sometimes feel when trying to aptly describe their day-to-day challenges. By all accounts, the “virtual dementia tour” helps to overcome that barrier and lend real understanding to these patients’ loved ones. Naturally, understanding yields both compassion and progress. Let’s hope the “virtual dementia tour” generates plenty of both once it makes it’s way around America.